Making or using any false writing or document knowing the same to contain any materially false, fictitious, or fraudulent statement or entry. If you are currently being accused for a federal fraud offense in California, you must speak immediately to one of our experienced federal lawyers. With over 30 years of experience, Wallin & Klarich will guide you and your loved ones through this difficult process. Call Wallin & Klarich today at (877) 4-NO-JAIL or (877) 466-5245. Where the computers are utilized in interstate or foreign commerce. A U.S. attorney bears the burden of proving every element of a federal fraud crime beyond a reasonable doubt in order to convict you. Generally, fraud requires that you specifically intended to deceive someone for financial gain. According to the United States Sentencing Commission, fraud crimes represented the third largest portion (10.5 percent) of federal criminal cases in 2012. Financial losses in these cases ranged from $0 to well over $6 billion, with the median loss at $150,546. There are dozens of fraud-related crimes that may be prosecuted under federal law. Some of the most common types of federal fraud crimes are described below, along with the punishment authorized upon a conviction. To fraudulently obtain money, credit, securities or other property from a financial institution by false pretenses or misrepresentation. If you are convicted of bank fraud, you face up to 30 years in federal prison, a fine of up to $1 million, or both. Making a false or fraudulent representation, claim, or promise concerning a proceeding under Chapter 11. Bankruptcy fraud is a felony, punishable by up to 5 years in federal prison, a fine of up to $250,000 ($500,000 for an organization), or both. If are not a United States citizen and you falsely and willfully represent yourself as one, you can be punished by up to three years imprisonment, a fine of up to $250,000, or both if you are convicted of citizenship fraud. Using a computer to knowingly, with intent to defraud, obtain anything of value worth more than $5,000 in a one-year period is also computer fraud under federal law. If a U.S. attorney successfully prosecutes you for committing computer fraud, you can be punished by up to 10 years in prison, a fine of up to $250,000 for an individual ($500,000 for an organization), or both. A second or subsequent conviction doubles your sentence to up to 20 years imprisonment. You can be prosecuted for committing health care fraud if you knowingly and willfully execute, or attempt to execute, a scheme to defraud or obtain by means of false pretenses money or property from any health care benefit program such as Medicare and Medicaid. Examples include over-billing for healthcare services and charging a patient for performing unnecessary medical procedures. If a federal court convicts you of health care fraud, you can be sentenced to serve up to 10 years in prison, a $250,000 fine ($500,000 for an organization), or both. If the violation results in serious bodily injury, your sentence can double up to 20 years imprisonment. If death occurs as result of committing health care fraud, you face life imprisonment. If you knowingly and without lawful authority produce, transfer, or possess with intent to unlawfully use an identification document, authentication feature, or a false identification document, you can be prosecuted under federal identity theft law. Examples of identity include state-issued birth certificates and driver licenses, U.S. Social Security cards and U.S. passports. If you are convicted of identity theft fraud, you face up to 15 years in a federal prison, a fine of up to $250,000 ($500,000 for an organization), or both. You face a sentence of up to 30 years’ imprisonment if you commit identity theft to facilitate an act of domestic or international terrorism. Using the United States Postal Service, a private mail carrier (such as FEDEX), telephone, fax, internet, radio, television or any interstate or international wire communication as a part of a scheme to defraud is a federal offense. Because of the broad nature of these laws, mail and wire fraud are commonly charged in a wide range of cases. You can be sentenced to serve up to 20 years in prison, a fine of up to $1 million, or both if a U.S. attorney successfully prosecutes you for wire or mail fraud. Mass marketing schemes involve the solicitation of fraudulent information to large numbers of potential victims in an effort to trick people on a global scale into giving up their private information or money. Punishment for this crime is dependent on whether you committed this act via computer (see computer fraud) or mail or wire transfer (see mail or wire fraud). Mortgage fraud under federal law is intent to misrepresent or omit information on a mortgage loan application to obtain a loan or to obtain a larger loan than would have been obtained had the lender or borrower known the truth. Mortgage fraud is prosecuted as wire, mail or bank fraud and money laundering at the federal level. Upon a federal conviction for mortgage fraud, you can be punished by up to 30 years imprisonment. Restitution to your victims and/or the government for any money or property that you fraudulently obtained is typically included in your sentence. Securities fraud is punishable as a felony. You face up to 25 years imprisonment, a fine of up to $250,000 ($500,000 for an organization), or both if you are convicted of this very serious federal offense. Tax fraud occurs whenever a taxpayer attempts to evade or avoid paying federal income taxes. Examples of tax fraud include overestimating business expenses, underreporting income or even not filing a tax return. If you willfully attempt to evade any tax imposed pursuant to 26 U.S.C. § 7201, you can be found guilty of a felony. Upon conviction, you face up to 5 years in federal prison, a fine up to $100,000 ($500,000 in the case of a corporation), or both. Failing to file a federal tax return when you owe the IRS money is a misdemeanor crime. (26 U.S.C. § 7203) You are obligated to pay your taxes, make a return, keep records and supply required income information under federal law. If you are convicted of tax avoidance, you can be sentenced to serve up to one year in federal prison, fined up to $25,000 ($100,000 in the case of a corporation), or both. In addition to the penalties described above, you also face restitution to your victims, loss of your professional license (doctor, stockbroker, attorney, etc.) and years of supervised probation upon your release from custody. Additionally, federal law requires that you serve a minimum of 85 percent of your sentence before you are eligible for release. 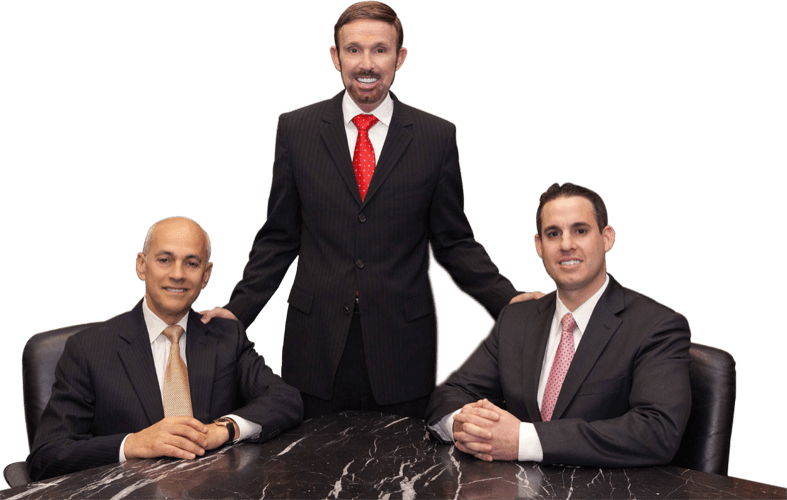 Our attorneys at Wallin & Klarich have over 30 years of experience in federal court successfully defending our clients facing federal fraud-related charges. Hiring an attorney from Wallin & Klarich to represent you is your best chance to avoid the most serious consequences of a federal conviction including decades in prison, enormous fines and the loss of your professional license. With offices in Los Angeles, Orange County, San Diego, Riverside, San Bernardino, Ventura, West Covina and Victorville, Our attorneys at Wallin & Klarich are available 24/7 to make certain all of your constitutional rights are protected. We will evaluate and employ every available strategy that gets you the best result possible in your case.